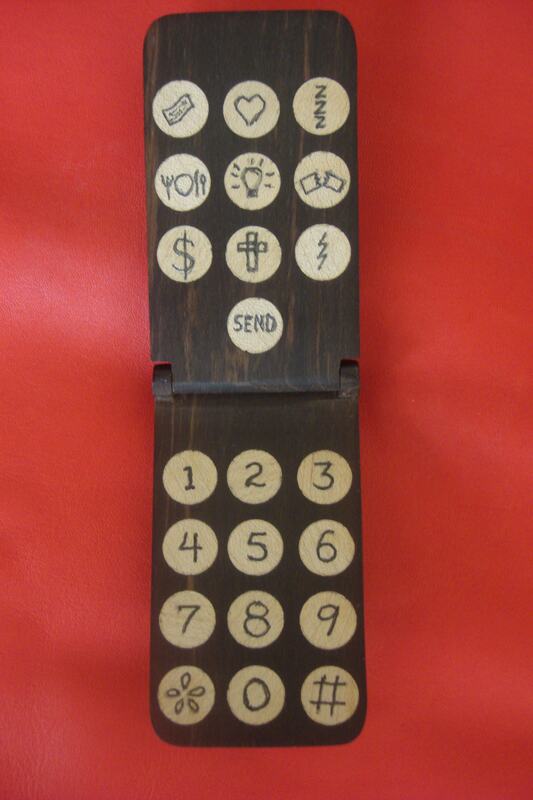 My friend Carl Weissinger, who lives in the Philadelphia metropolitan, area gave me a gift of a cell phone which he made. It is of ebony, hinged with copper. It has the most useful-looking buttons of beech. One – second down on the right allows me to order Christmas crackers. Or detonate a Molotov cocktail: an imaginative and useful anger-displacement tool. It all depends on my mood. The one below that allows me to hurl lightning. So useful on a city street at night. The phone is silky soft to the touch and unlike our monster ‘intelligent’ phones, this one nestles easily in the palm of the hand. One other huge advantage, it does not ring, buzz, hum, vibrate, burp, tingle, or sing. Ever. In other words, a miracle! This is the least of Carl’s talents. A master woodworker, he made me a marital bed when I was 30. He has made several 19th century catboats (one sail). Sometimes he sells them and sometimes he sails in them. He tried one day to explain to me how, using detailed schematics, he makes this most lithe and elegant of objects. I attach photos of Carl with the last of his catboats, Baguette. Also included are two paintings made by Gustave Caillebotte, the French Impressionist, of his own sailboat workmanship. His boats, Carl tells me, were designed for the Seine. And a magnificent painting by Childe Hassam of moored catboats.